Each summer, roughly 100 University of Texas students embark on the Texas 4000, the longest annual charity bicycle ride. Next summer, 2012 Wheeler High School alumna Abigail Zeitler will ride. Chris and Mandy Condit founded the Texas 4000 in 2004. Both were students at UT’s main campus in Austin. Chris Condit, a Hodgkin’s lymphoma survivor, thought creating the longest charity bike ride, from Austin to Anchorage, Alaska, seemed like a great way to fight cancer, according to the Texas 4000 website. Like the Condits, many of the riders have been personally affected by cancer. 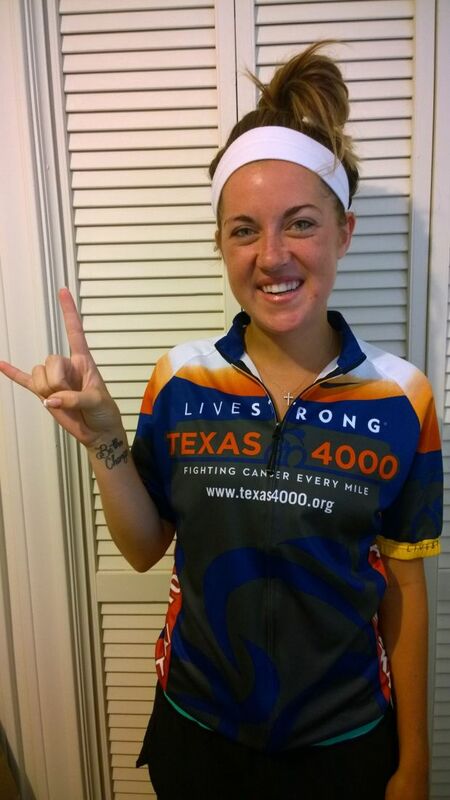 Zeitler applied for the Texas 4000 because her mother is a uterine cancer survivor. She said the support of her friends and the cancer community helped her and her family through her mother’s fight. “It’s something I’m doing to give back to the community that gave my mother so much,” Zeitler said. The Texas 4000 is not the first major service project for Zeitler. She has been on a mission trip to Costa Rica and is trying to go on another to Africa, said her father, Michael Zeitler. She also volunteers in a soup kitchen in Austin. “Abby tries to do things that are going to better society,” Michael Zeitler said. The Texas 4000 fits in with her other activities. The 18-month program requires participants to raise $4,500 and to volunteer more than 50 hours in the community in the months leading up to the trip. Participants ride from Austin to Anchorage, and volunteer in towns and cities along the way. Their goal is to share information about fighting cancer and messages of hope throughout America and Canada. The 2014 team left May 30 and has almost finished its year and a half in the program. In August, the 2015 team will take over. By the time the fall semester starts, the new team members will know which of the three routes they will ride: Rockies, Sierras or Ozarks. Zeitler hopes to be assigned the Ozarks because it passes through Chicago. “It would be really awesome to come back and see my family,” Zeitler said. Regardless of the route assigned, team members ride more than 4,000 miles. To prepare, the Texas 4000 requires each participant to log 1,500 training hours in the year leading up to the ride. To donate to Zeitler’s Texas 4000 ride, visit her page on the Texas 4000 website, www.texas4000.org/riders.